On October 23, the stage at The Imperial will play home to the band, Bad Suns. The California natives have been making quite a splash in the music scene over the last couple of years, opening for bands including The 1975, The Neighbourhood and New Politics. They are now headlining a tour to promote their sophomore album, Disappear Here. The Ubyssey spoke with Christo Bowman, the 22-year-old lead vocalist of the band, to talk about the upcoming Vancouver show. How would you describe the sound of the new album? I guess you could qualify it as being indie rock. I think it’s very high energy and … something about this record, to me, is that it sounds vital. It’s fun, it’s melodic and it’s vital. How was making the second album compared to the first? The first album was us kind of learning the ropes [and] we were establishing the sound of our band. On this record, it sounds obvious to say, but we had something we were following up — we had an audience now and that was all brand new to us. It wasn’t something that we really anticipated, but it was the situation we were in. I think a lot of bands that find themselves in that situation … kind of walk the plank at that point and you don’t really hear from them again, but we just felt more confident than ever in our abilities. Having that established relationship with our audience became clarified. It was inspiring to us and we felt like we had [the] ability to do what it was that we wanted. It was a liberating experience [and] it was really, really cathartic. What can people expect at your live show? This time around, there’s a lot of energy involved. We don’t like to put up a wall between ourselves and the audience — it’s very much a two-way conversation and it’s a lot of fun. Why do you think people who haven’t been following you should come see the show? We’re trying to breathe fresh air into rock music … indie rock music and music in general right now. It’s a really fun community that’s been building and growing — more so in the States than in Canada, but we’re building it there [as well]. We’re really excited to meet more people and to build the community. How does headlining a tour differ from opening for another band? Beyond anything else, [the difference for us] is that we have another album of material to play. Our opening slots have been pretty similar over the years because we only had 10 or 12 songs to play. We’re [also] in control of absolutely everything. It’s a lot of preparation because we’re designing the light show, the production and all of that. It’s a bit crazy, but it’s awesome. There are so many different ones [that] it’s hard to single out. For me, it’s whoever pops into my head at the moment. Elvis Costello and the Cocteau Twins are a huge influence on us musically, [and] Andy Summers is one of my favourite guitar players. Whatever we like in certain music, we try and let that kind of flow through us. Tycho just put out an album which I’ve been listening to a lot. The last Kurt Vile album and … to be honest with you, I’ve been listening to Life of Pablo a lot again recently. This band Porches put out a really great album … which I think might be one of my favourites of the year, and there’s a new Joyce Manor record which just came out [that] I’m really digging so far. Where do you get inspiration in day-to-day life? Whatever mood [life] puts you in, the music that comes out is a result of that. The chords that I end up going to are directly related to whatever mood it is that I’m feeling. 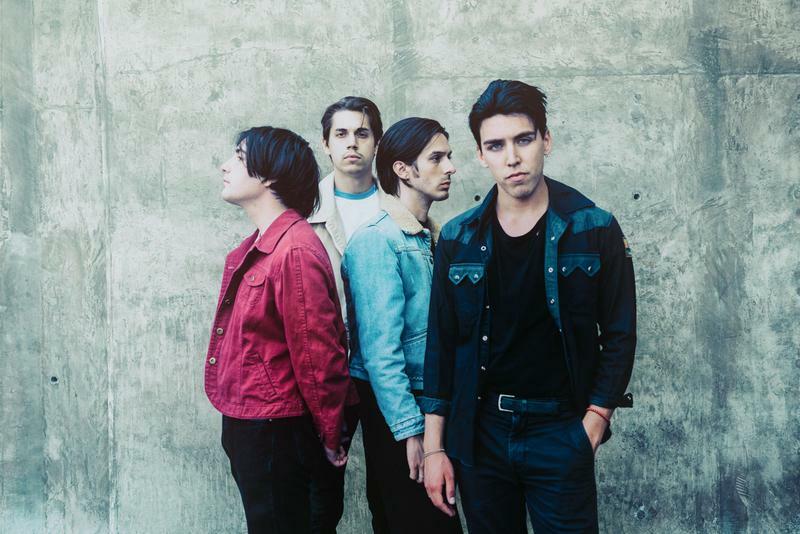 Bad Suns will be playing at The Imperial on Sunday, October 23. Tickets are available online.